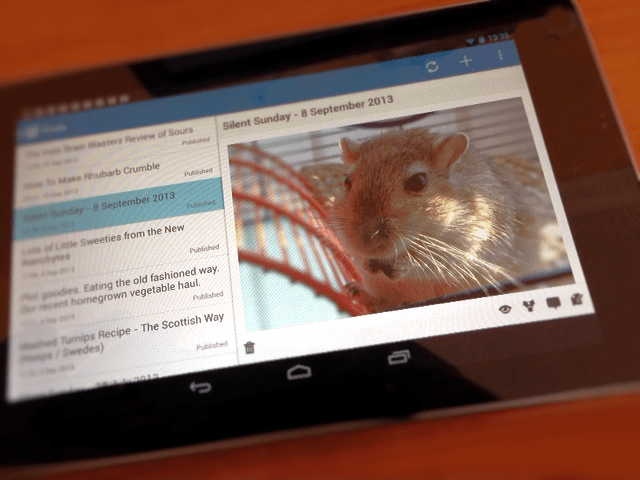 I decided to take blogging mobile, and tried a nexus 7 from Argos. I’ve used a Nexus before as my youngest has one for games and reading, but I’d never tried to blog using one. I didn’t have long to wait for my box and I had to be careful as I plan this to be a Christmas present for my eldest. The box is small, strong and actually quite tricky to get open. It’s very closely packed so there seems to be no room for movement within the box which is a good thing. Google tends to make for good computer programmes, so it isn’t really a shock to find that their tablet version has been such a hit with it’s reasonable price tag and fast responsive screen. 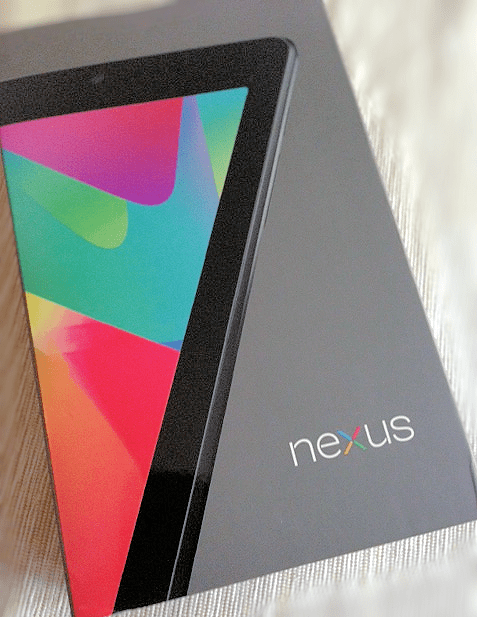 The 7″ screen is lovely and shiny and the weight of the Nexus is actually quite reassuring in your hand. In the box is the Nexus and a charger cable and plug. When I switched on, I was greeted by several very easy to follow screens that talked through how to set up and create a Google Account. When it loads up, the apps and possibilities to put widgets with changing and updating information on the home screen is fairy easy to navigate. Google has made the set up pretty intuitive so there really wasn’t much to worry about at all and most Internet savvy kids would manage to do it without much problem at all. 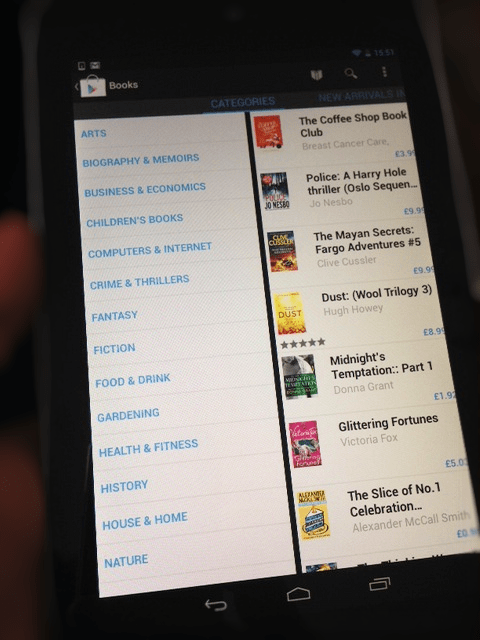 I hadn’t had a chance to look through the book store on Android so it gave me a good opportunity to have a good look around and there seems to be plenty of choice, and also the ability to download a Kindle app which is always a must on any device that I ever use. I have a fair few books from Amazon that I’d like to keep hold of. Settings are fairly comprehensive, as are the parental options. 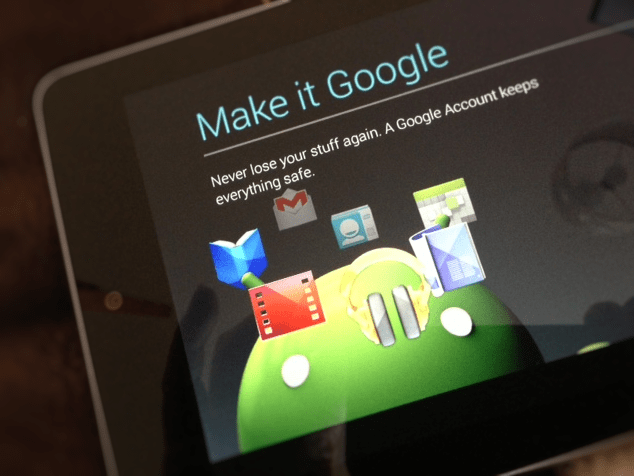 We can set up a different account for each member of the family on one Nexus 7 which impressed me very much. That means I can have my apps on one account and kids can have a different account with their own apps on the same wee machine. That’s fairly impressive to me. 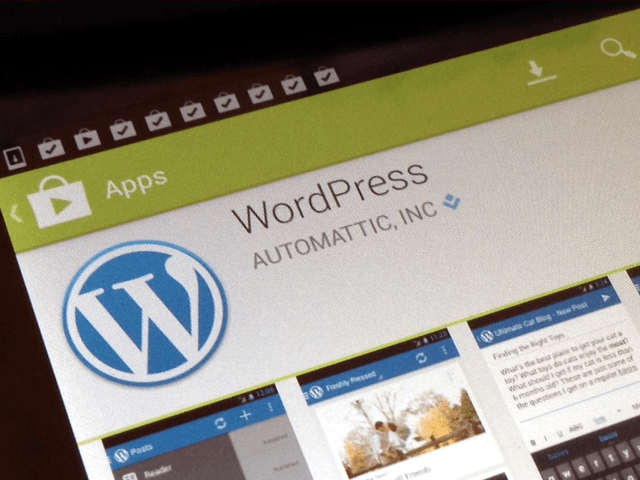 More new territory for me was downloading the WordPress app. It’s simplified on Android, but it’s also more than enough to be putting some blog posts on. The Nexus I have has the front facing camera which is basic, but it’s fine for doing things like Skype. Kids can use it for taking pics of other things and an app download really helps to make using the camera easier. I believe the new Nexus 7 has a back facing camera for regular style pictures, but for my kids, I’ve found the one on my version perfectly adequate as they mostly just want to take selfies anyway. I did a fairly simple blog post for a first one on the Nexus. A simple silent sunday one where one picture is posted with no words to tell its own tale. To get a better quality picture, I sent one from my phone to the Nexus by e-mail and simply picked it from the options on the WordPress write new post menus. For typing, I found the keyboard actually fairly good and easier to master than the Apple one when I first tried that. The screen is very responsive, very very clear and pleasant on the eye to look at. It really is easy to see why it took the tablet computing market by storm when it came out and has had such rave reviews. I’m going to potter with the Nexus for a couple more days and then wipe it clean and set it up again with my eldests information and e-mail. He is going to be one happy bunny indeed. I can’t justify the price of iPads for all my kids and these do the job pretty nicely at £159. My Nexus 7 is a Wi-Fi version which hooks up quite nicely to my O2 phone as a hotspot when out and about and when there isn’t any Wi-Fi available. With one Christmas present secured, please say it’s really not too early to talk about Christmas, Santa and Elves. 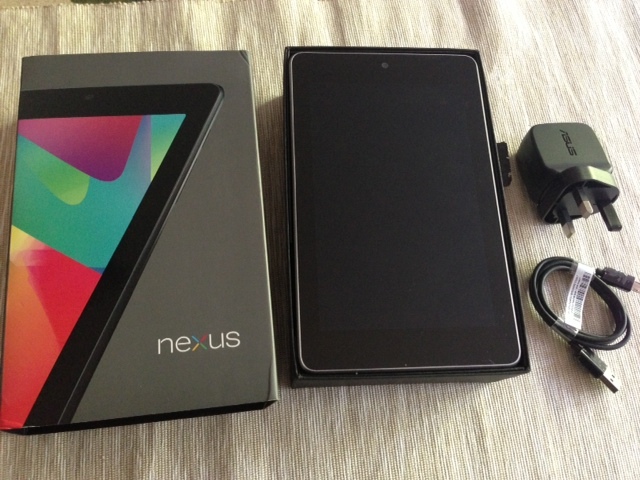 We gratefully received a Nexus 7 from Argos? 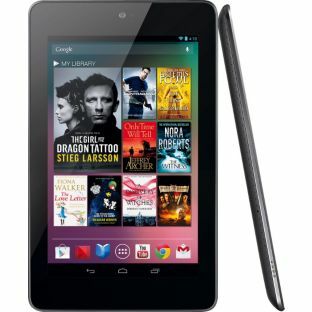 I have a Nexus 7 and love it, wouldn’t be without it. I think it is exceptional value for money – I’m with you on the iPad, I can’t justify paying the money! I download music, play games, use Twitter and Facebook too on my Nexus. Also agree with above comment, i too use Dropbox for photo sharing. Such a handy size for travelling. In fact I cannot fault it. iPads are fabulous, but to give each of the kids one is just out of my price range and these do a great job of giving them access to apps and games they like so it’s a great option for us. Dropbox might be easier way of syncing pics? Re keeping hold of your books from Amazon, you do know they can retrieve them from kindles if they feel so inclined? Just a thought. I’m finding I quite like Dropbox. I’ve only recently begun using it and I might just keep on with it..